Lynsey has been a part of the Nick U.K Programming Team for 12 years, after joining from BBC Children’s where she worked for five years. 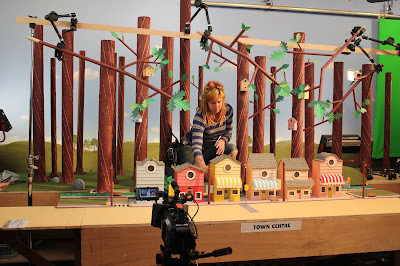 She works as Executive in Charge across Nick U.K., Nick International & Milkshake Pre-School properties and has worked on hundreds of episodes for series including: Becca’s Bunch, Puffin Rock, The Day Henry Met, Wissper, Lily’s Driftwood Bay & Digby Dragon plus many more. Lynsey also oversees acquisitions deals for the U.K. and sits on Nickelodeon’s International Programming Council. Director / CCO of JAM Media. Alan is currently Executive Producer for ‘Jessy and Nessy’ – 40 X 11 minutes for Amazon Studios and Becca’s Bunch – 52 x 11 minutes for Nickelodeon US & UK. He has recently completed Executive Producing and Series Directing on the Preschool TV series, ‘Little Roy’ –52 X 14 minutes for CBBC/CBeebies. He has also directed ‘The Roy Files’ – 15 X 14 minutes and the BAFTA® award winning series ‘Roy’ series 01-04 for CBBC. 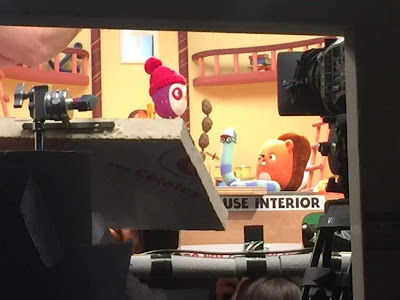 His previous directorial credits include, ‘Baby Jake’ 02 – 26 X 11 minute preschool animation series and ‘Tilly and Friends’ – 52 X 11 minute preschool animation series for CBeebies, along with various other series such as ‘Funky Fables’ – 26 x 11 minute, and the award winning preschool animated series ‘PICME’ – 104 x 5 minute for RTE/Nickelodeon. Prior to co-founding JAM Media, Alan worked with a variety of International animation houses, including The Walt Disney Corporation. Alan has also animated on the Academy Award Nominated film ‘Give Up Yer Auld Sins’ and directed/animated numerous TV adverts and short films including ‘ The Last Elk’ and the multi award winning short ‘Badly Drawn Roy’. Co Creator of Becca’s Bunch. Chris as Head of Development at JAM Media is responsible for overseeing the development slate and individual projects throughout their various phases prior to Pre-Production. Chris continues to be a brainchild of new, original, interesting concepts & projects for various broadcasting platforms. Pre JAM Media, he co-founded the children’s television company TT Animation, now owned by Warner Brothers. At TT animation he developed numerous shows, with Nick Jr, Disney Junior, CBC and many international broadcasters. TT Animation’s first developed show, ‘What’s Your News?’, 4 –7 year old combined animation, motion capture & live action. ‘What’s Your News?’ is a multi-award winning show, including 2009 NHK Japan Prize for Children’s Television & Grand Prix, finalist at Prix Jeunesse & won the Youth Media Alliance Award Canada. Recently the show has been re-versioned for CBC in Canada and PBS KIDS Sprout in the United States. The Manchester Animation Festival, a three-day festival celebrating animation in all its forms, returns to Manchester’s HOME November 13-15. The event, now in its fourth year, is the largest animation festival in the U.K., and its packed program includes animated short competitions, feature films, retrospective screenings, workshops, networking events, panel discussions, masterclasses and screen talks from some of the brightest and best talent in the industry. For full details and to purchase tickets to the 2018 Manchester Animation Festival (single tickets and festival passes available), please visit http://www.manchesteranimationfestival.co.uk. One-day U.K. animation industry event kicks off ahead of the Manchester Animation Festival on Monday, November 12. Manimation, Manchester’s must-attend annual gathering for the U.K. animation community, gathers the key players to discuss the future of the industry, in a one-day event on Monday, November 12, packed with one-to-one meetings, panels and roundtables. The sixth edition of the event, at the Manchester Technology Centre, has a brand new format and venue and by popular demand, is positioned the day before the Manchester Animation Festival, which runs November 13-15. Manimation is supported by National Lottery funds awarded to ScreenSkills from the British Film Institute to deliver its Future Film Skills program. Organizers say that the brand new format gives delegates the opportunity to pre-book meetings with experts using CMC’s brand new and unique advance booking system, Meeting Mojo, which will give conference goers the chance to profile themselves and their company in advance of the day. Also new in 2018, is a special focus on inviting experts from creative, advertising and corporate agencies, so that companies can future proof themselves by broadening their client base. - Josie Grierson, Production and Programme Manager, Milkshake! Additional participants are still to be announced. There will also be an opening Keynote speech to be announced and complimentary refreshments and lunch with a closing networking event to conclude the day. This year’s Manimation is sponsored by the industry-led skills body for the screen industries, ScreenSkills, BBC and MMU and is organized by The Children’s Media Conference, the U.K.’s premier organization for the children’s content industries with 15 years’ experience of media-related conference and learning events. Tickets are priced at £75 + VAT, to find out more or to purchase a ticket, visit www.thechildrensmediaconference.com. Some of the best creative minds in animation are gathering in Manchester for an annual conference. Manimation gathers the key players including BBC Children’s, Turner, Cake, Milkshake!, Nickelodeon and Havas Lynx to discuss the future of the industry in a one day event on Monday November 12. There will be one-to-one meetings, panels and roundtables. Now in its sixth year the event at the Manchester Technology Centre, has a new format and has been positioned the day before the Manchester Animation Festival (MAF) which runs November 13-15. A CMC curated programme of three business-focused round-tables will discuss: Realtime engines and the future of production; skills shortages, apprenticeships and training; and working with creative agencies – case studies in successful relationships. Greg Childs, editorial director of The Children's Media Conference, said:"This year’s Manimation has been strategically developed to meet the animation industry’s ever changing needs. "With a renewed focus on creating a marketplace for animation and driving business forward, Manimation is the place for all types of animation businesses to meet, pitch, network and build lasting relationships, whilst discussing the future of the industry with its key players. "Manimation creates a friendly and open market setting to achieve this." Tickets are £75 + VAT from thechildrensmediaconference.com/events/manimation-2018. Watch Becca's Bunch on Nickelodeon and Nick Jr.! More Nick: PAW Patrol, Shimmer & Shine, the Teletubbies and More to Help Spread Festive Cheer at intu Trafford Centre's 2018 Christmas Toy Parade on Saturday 17th November 2018 | Nick Jr. UK! Follow NickALive! on Twitter, Tumblr, Google+, via RSS, on Instagram, and/or Facebook for the latest Nickelodeon Preschool, Nick Jr. and Becca’s Bunch News and Highlights!